Subscribe today and your institution will enjoy full access to BMJ Leader – promoting innovative research which makes healthcare more accessible and affordable. 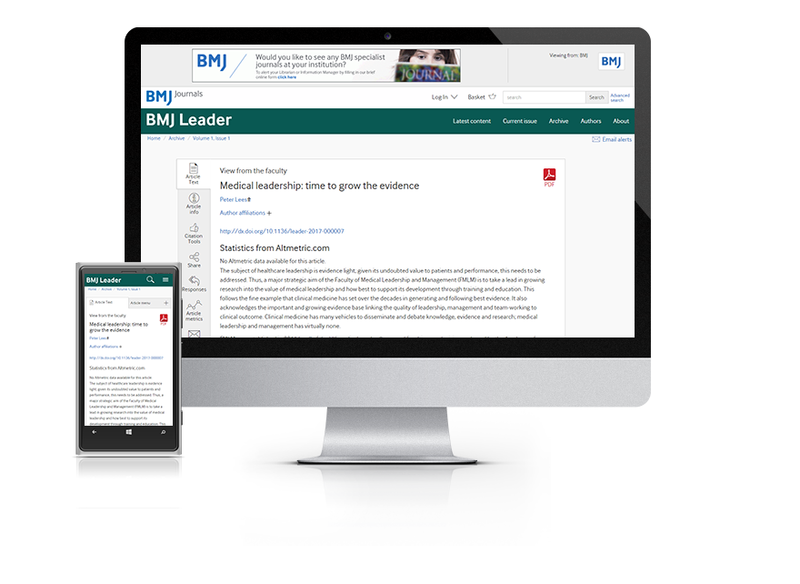 Subscribe as an individual today to get full access to all new and previous content from BMJ Leader – promoting innovative research which makes healthcare more accessible and affordable. You can find out more about the BMJ Leader here. Copyright © 2019 BMJ Publishing Group Ltd & Faculty of Medical Leadership and Management. All rights reserved.